Ten days ago, we did our first graft of the season (to make new queens). It’s the earliest in the year that we’ve done one. It can be chancy, because you need around 18 degree weather (Celsius) for queens to mate properly. If it’s rainy, or too cold, the queens and drones won’t fly. But, we’re feeling hopeful that the weather a week or so from now will turn out somewhat decent. Fingers crossed! We spent the weekend making up little nucs (nucleus colonies) to put our queen cells in. We took a lot of excess bees and brood from our city bee yards, and brought them out to our mating yard in surrey, where we can count on a reasonable concentration of bees for good mating flights. Once in a while, we end up leaving a city hive with a queen that those bees have raised themselves, and that’s fine for a while — it’s a good stopgap measure. But, the concentration of bees in the city is pretty low and haphazard, and we almost always end up replacing that queen later when she turns out to be poorly mated. 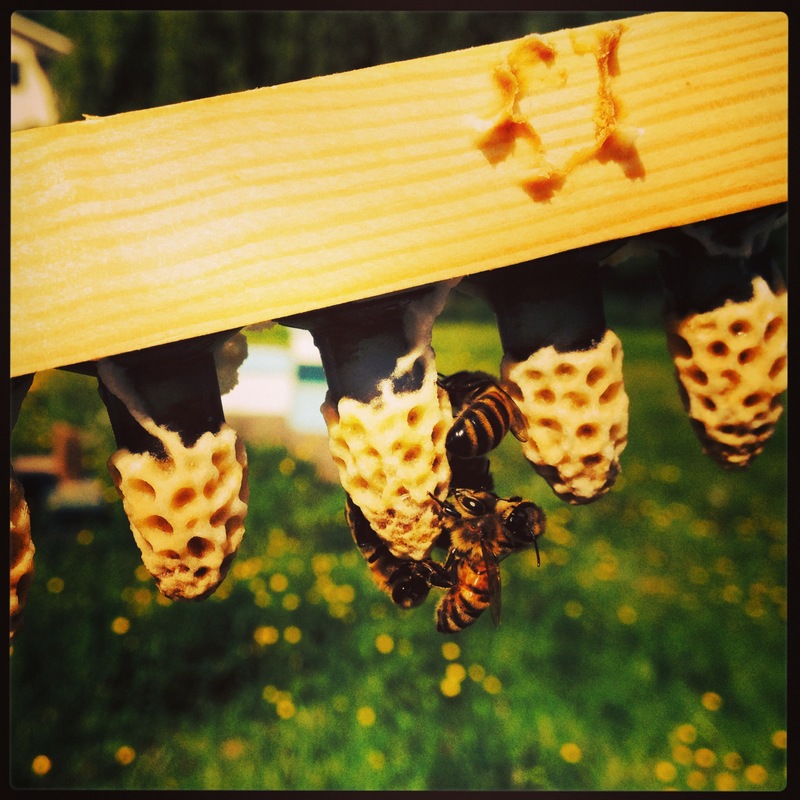 This entry was posted in bee talk, nucs, Queens on April 21, 2015 by propolismusic.